A/Prof Justin Tse, Director of Medical Education, St Vincent’s Clinical School, Department of Medical Education, Melbourne Medical School provided the following contribution. Our medical students have talents in many fields, and it was with pleasure I heard a group of students had decided to form the UMMSS orchestra this year. The effort in organising practice sessions and putting on their first performance was very appreciated by those who attended the performance. There will be future performances and I urge all to attend on what I am sure will be another amazing evening. Michael Li, MD4 student, St Vincent’s Clinical School, Melbourne Medical School, provided the following contribution. 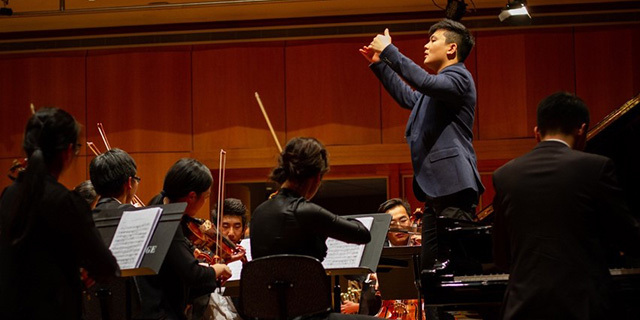 Under the baton of our brilliant conductor, Thaddeus Huang, I recently had the pleasure of performing Rachmaninov’s third piano concerto with the newly established UMMSS Orchestra. Capping off an ambitious program, the orchestra performed Saint-Saëns’ Danse Bacchanale (from Samson et Dalila) and Tchaikovsky’s Romeo and Juliet Overture. 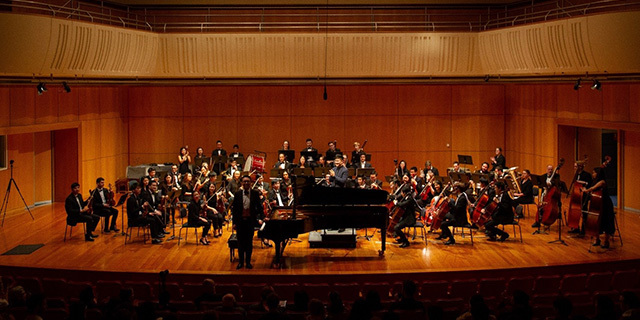 Our inaugural concert on May 19at the Ian Roach Hall (Scotch College, Melbourne) was the culmination of many hours of rehearsal, showcasing the talents and musicianship of all involved. We were delighted to have received so many messages of support and congratulations from medical students, doctors and keen listeners of fine music who attended our concert. For many, being a part of the UMMSS Orchestra has rekindled the joys of music-making with like-minded peers. As our Orchestra Chair, Christina Guo, said this endeavour was remarkable for “the positive experience we've created for a considerable part of the student cohort, and the amount of enjoyment our students have received from being at rehearsals, surrounded by new friends and old instruments”. The UMMSS orchestra is very excited to be planning more events and performances for the remainder of 2018 and beyond. 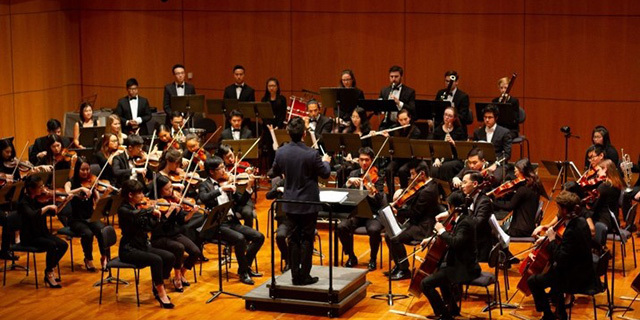 I would like to thank our conductor Thaddeus Huang, Orchestra Chair Christina Guo, Concertmaster Tahli Elsner, William Hoang and Isabelle Wong from UMMSS, and our committee for their hard work and dedication. Finally, thank you to the members of the orchestra and to those who attended our performance.